Swadeshi Andolan, an organisation patronised by former BJP ideologue K. N. Govindacharya, has joined the anti Walmart-Flipkart deal chorus. It asserts that the acquisition will have serious impact on sectors like retail, agriculture and industry. A resolution passed by the organisation on May 16, called for a ban on FDI in e-commerce and all forms of retail, new regulatory mechanism for domestic enterprises and a new law against monopolies in retail trade. Swadeshi Andolan also wanted a mobilisation of developing countries and Least Developed Countries (LDCs) to resist any discussion in WTO on e-commerce. "India's e-commerce market today is largely controlled by two players, Flipkart and the US company, Amazon. 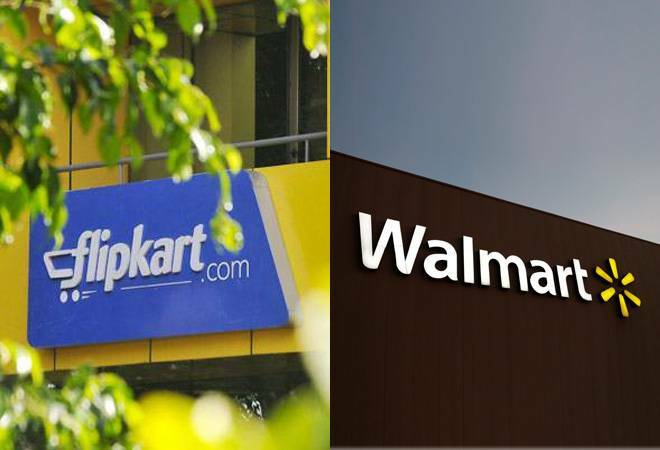 With Walmart acquiring Flipkart, two US companies will establish duopoly in the sector. We evaluate this issue very seriously in the strategic security point of view", states K V Biju, All India Organising Secretary, Swadeshi Andolan . Alleging that the country surrendered its national interest and national security by allowing FDI in port, telecommunication and defence, the organisation states that US technology companies, in collusion with National Security Agency(NSA) of USA (PRISM project of USA), are collecting data from the other countries. "Promoting e-commerce without proper data protection not only harms economy, it has serious implications on the country's national security also. As nationalists, we are very much concerned about the present policy of the government", the organisation states. It wants all in-bound e-commerce investments from US and China to be looked at from a security point of view. "Threats from Chinese investments in some of the e-platforms like payment banks are not properly evaluated. The so-called nationalist NDA is passive in this regard", they allege. Swadeshi Andolan argues that the multinational corporations are building customer base by pushing products at subsidised rates. "Amazon like e-platform multinationals have captured large portion of retailing with their monopolistic practices. This has seriously affected the retail traders in the country especially in electronics and apparels. The fast growth of e-commerce retailing is creating havoc among the traditional retailers", they say. The e-commerce retail market reached $ 12 billion in gross merchandise value (GMV) terms in 2016. Electronics is currently the largest segment in e-commerce in India with a share of 47 per cent and is expected to grow at a CAGR of 43 per cent by 2020. The apparel segment has the second highest share of 31 per cent in the e-commerce retail industry. Currently, there are 1-1.2 million transactions per day in e-commerce retailing. Within short span of period e- commerce retailers will become monopolies in the Indian retail trade, they explain. "E-commerce companies will soon begin to control and dictate all aspects of value chains in consumer goods space. They control not just discovery, ordering, payments, logistics and inventory management, but are beginning to dictate even production and manufacturing. All the economic actors in the entire value-chain have become like their dependent 'workers'. Therefore, it is not just the e-marketplace that an e-commerce platform comes to occupy; its control extends across the economy. The Walmart-Amazon stranglehold should be seen in this perspective", Biju says.